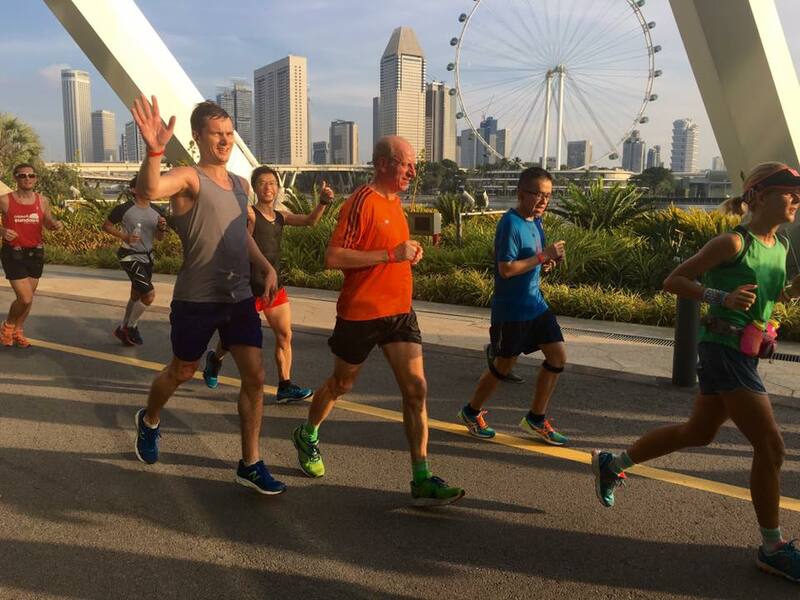 After two successful lead up runs in March and April to train and prepare Sundown Marathoners for the night marathon in May, the Sundown Marathon Pacers from Team FatBird conducted the final and longest run of 19km (HM) and 32km (FM) at PlayGround @ Big Splash. 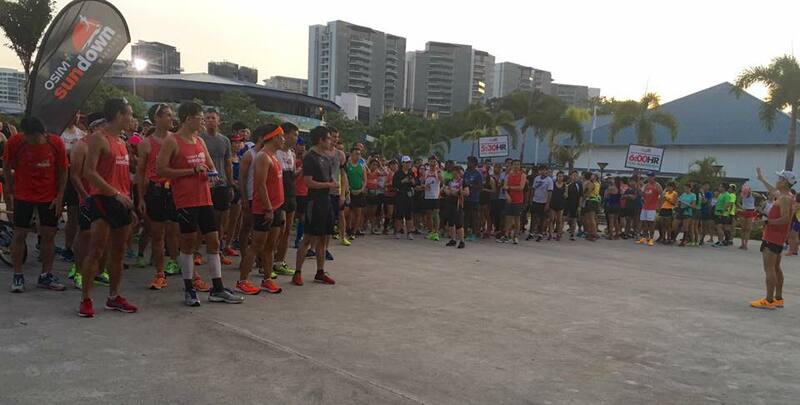 The turnout was much bigger than the first 2 sessions, probably hitting 300 runners – all eager to put in their final long run before starting the tapering phase next week. 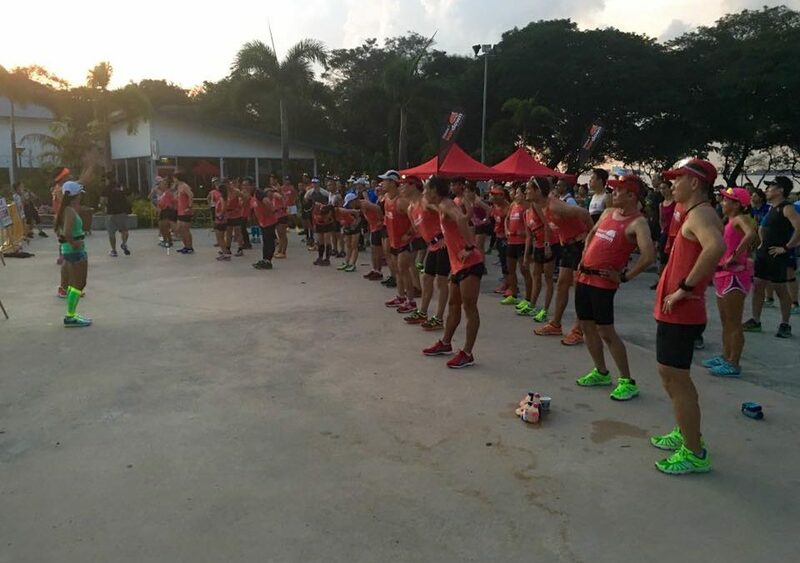 Most registered runners reported by 6:45am, allowing the Sundown Pacers to organize and brief everyone on the routes and pacing objectives, including a quick 5min of dynamic warmup to get everyone’s adrenaline flowing. 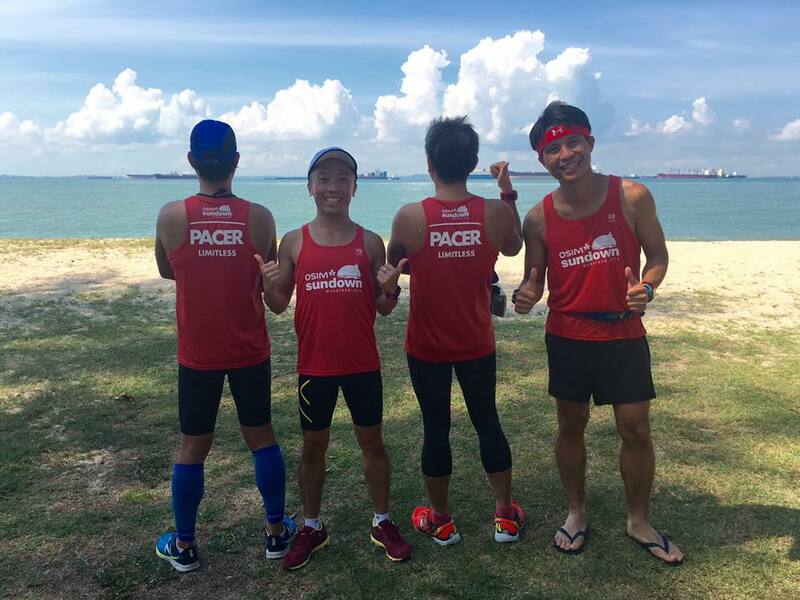 The Sundown Pacers looked great in their Compresssport Pacer singlets, and were highly visible for the respective pace groups to follow. 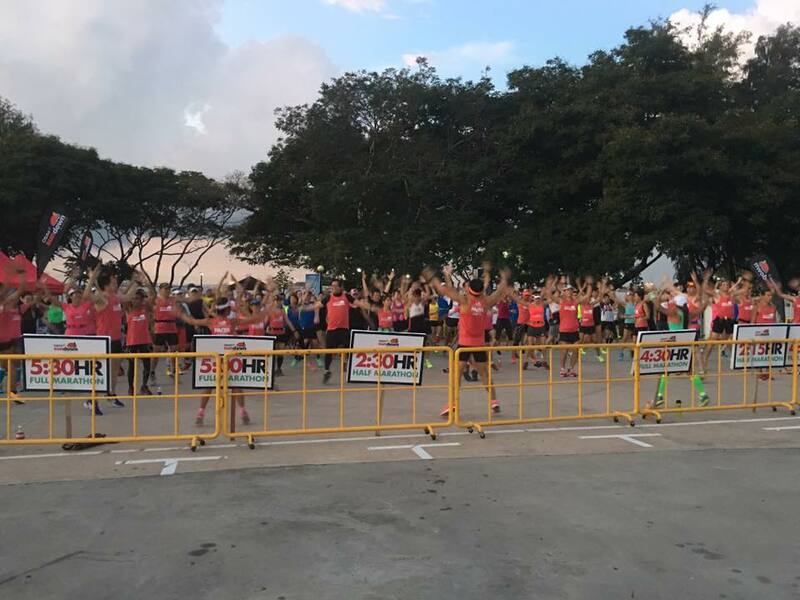 The flag-off horn sounded at 6:50am for all runners, who soon settled into their respective pace groups as they approach Fort Road and Gardens By The Bay (GBB). The skies were clear and the sun was heating all the runners up. 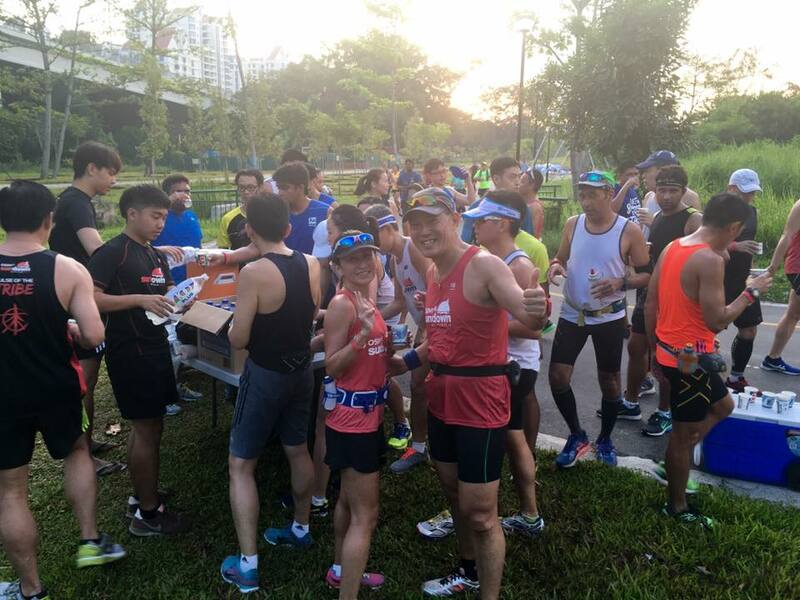 Thanks to Sundown Organizers setting up two hydration points, well stocked with iced-cold isotonic drinks and water, that the lead up runners often looked towards as motivational check points. 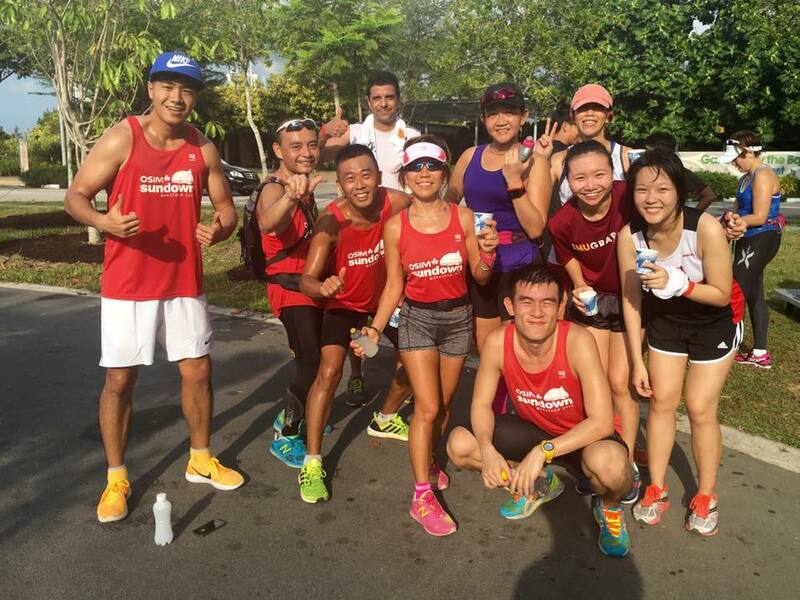 After 10km of running, many of the runners were soaking with perspiration but continued to keep to their Marathon Pace (MP). 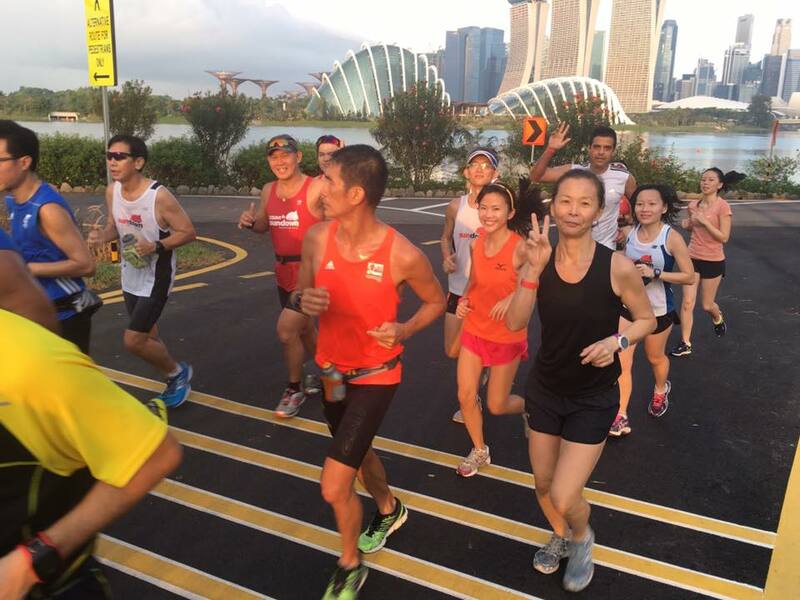 We made a concerted U-turn around Marina Promontory loop to return back to GBB and Fort Road. By then, the sun’s heat was ‘piercing’ through our skin adding a new dimension to the already challenging MP. 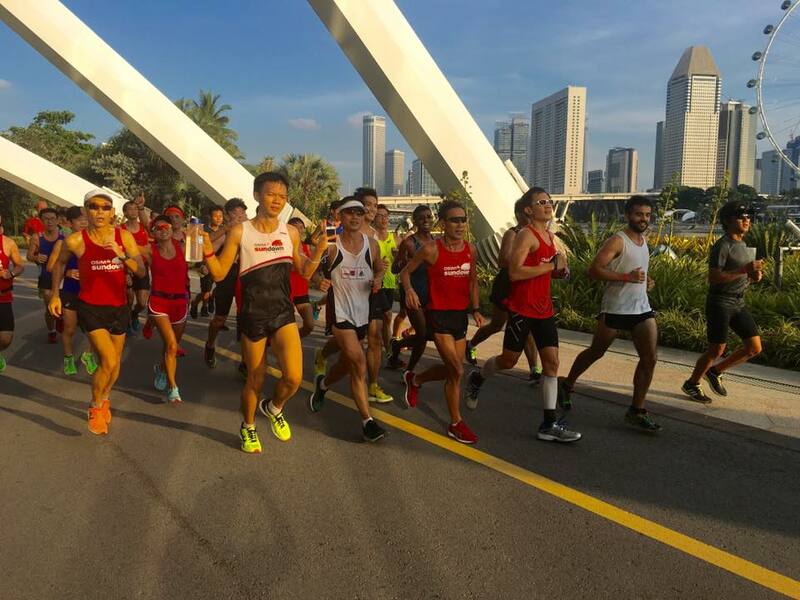 Once the mid-point of the required distance was passed, we increased to an Optimal Pace (OP) which would provide the runners some practice of achieving a negative split (ie. running the second half at a slightly faster time than the first half of their run). Some of the runners could not sustain the pace but were ‘collected’ by our trusty pacers at the rear guard of each pace group. 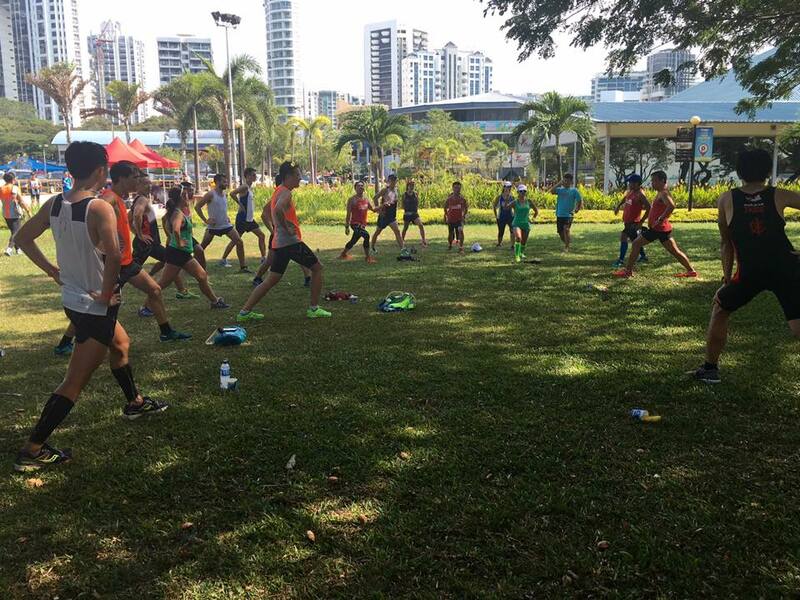 The Half Marathoners did a U-Turn at Parkland Green to return back to Big Splash for a good 19km paced run. The confidence levels were high for a good race on 28 May night. 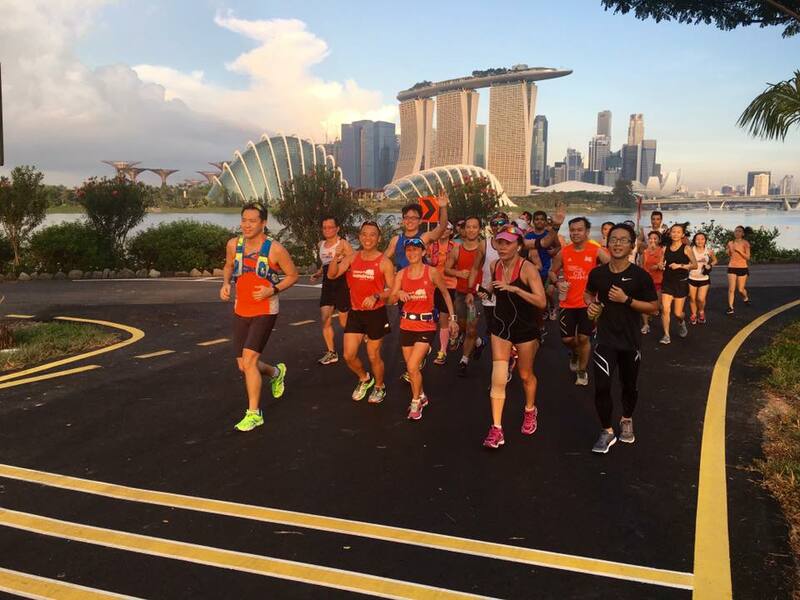 The Full Marathoners proceeded on towards Big Splash, led by their determined Sundown Pacers who were keeping to OP by then. 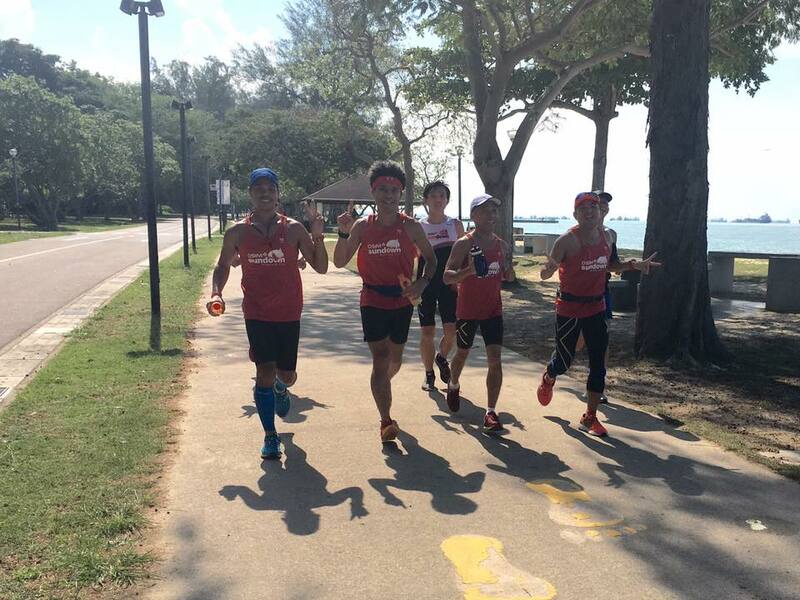 The heat made the run after 22km very challenging, and a welcome respite was granted at the second iced-cold water point, a real savior for the tiring runners. 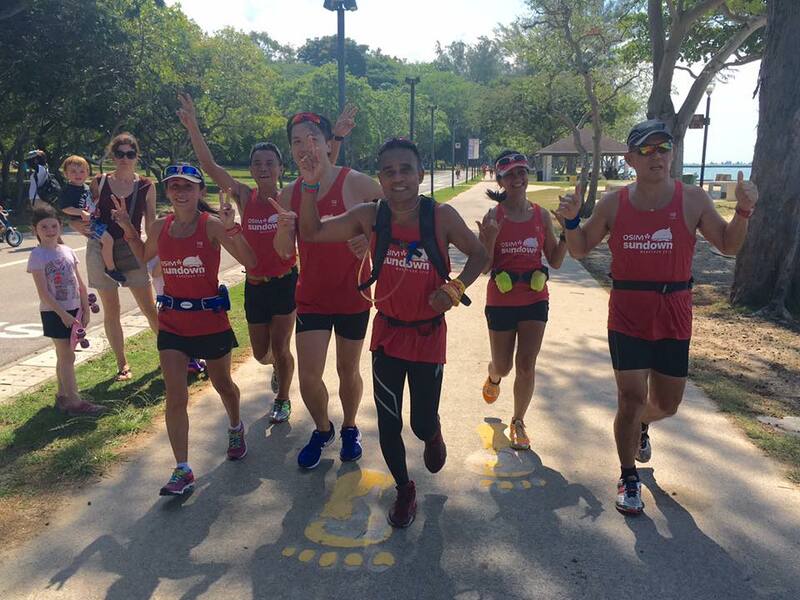 The strong ones in front were taking all the heat in, treating it as conditioning and toughening for their marathon bodies. 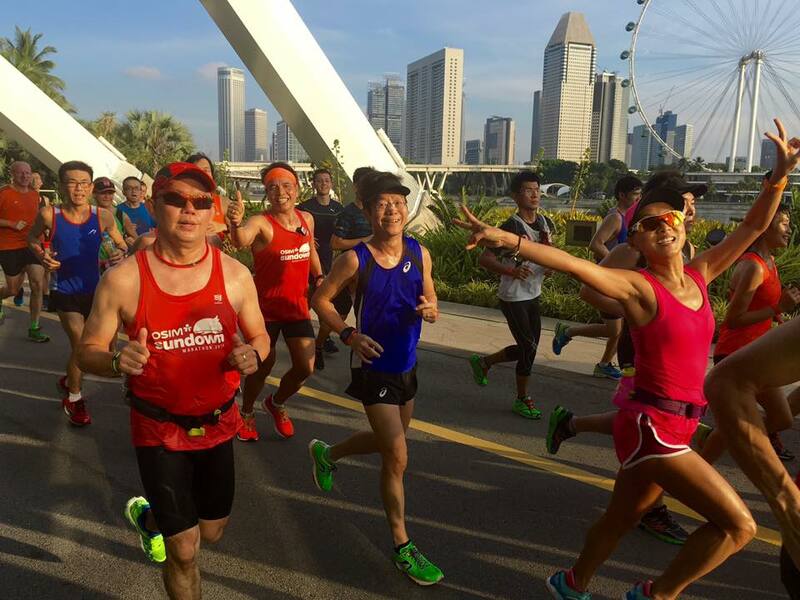 Some of the newer marathoners were quite affected by the heat, but with the ample drinks provided, there were no incidents of anyone ‘hitting the wall’. By 10am, all Group 1 runners have returned, followed by Group 2 at 10:15am. 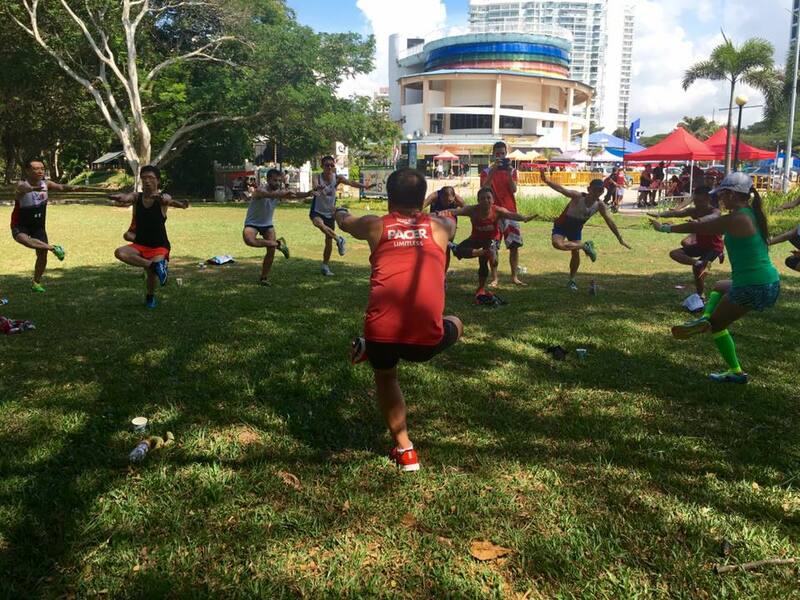 The timings achieved were commendable, especially in such hot and humid conditions. 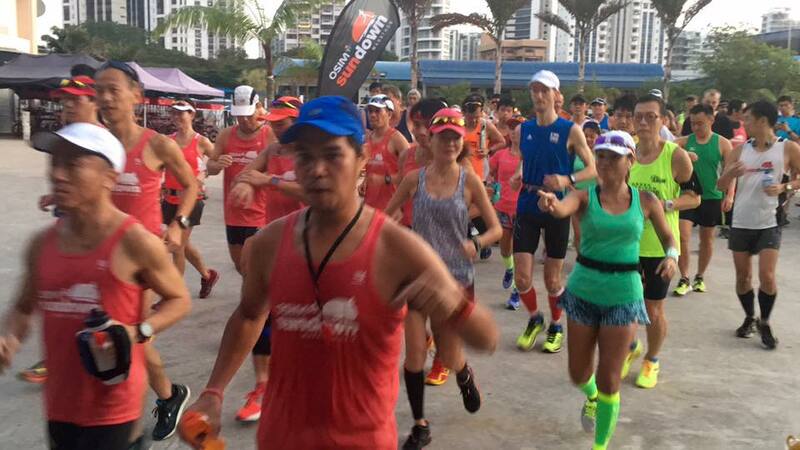 The 5hr, 5:30h and 6h pace groups all returned by 11am, the maximum time (4h) allowed for the runners to be on their feet during this phase of training. 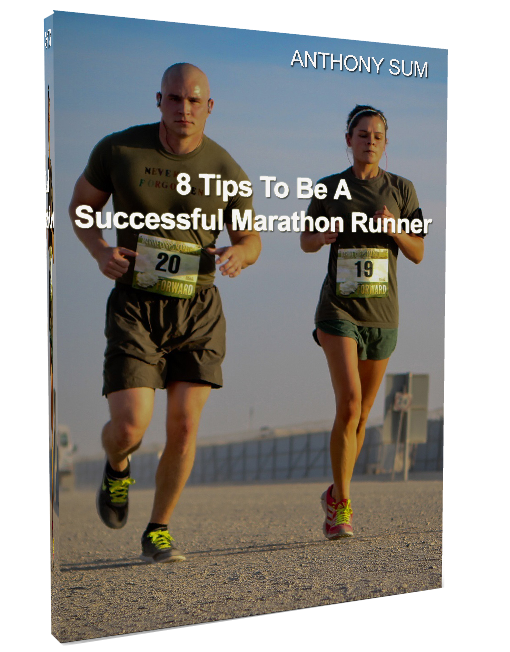 Anything longer would put the runners at risk of fatigue and could sabotage their recovery and preparations for a good race 3 weeks later. Drinks and bananas were welcomed at the end point to replenish all the lost electrolytes and glycogen. A few had empty tanks, but most of the runners returned very strong, with ample reserves to continue for another 10km is required to do so. 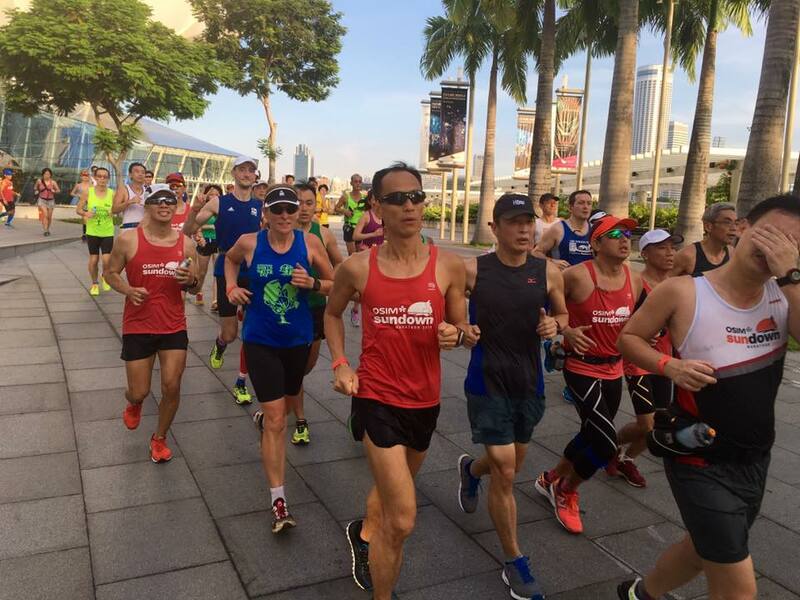 With the series of three lead up progressive runs completed, the Sundown Marathoners looked set to be amply prepared for a successful race night with the Sundown Marathon Pacers. 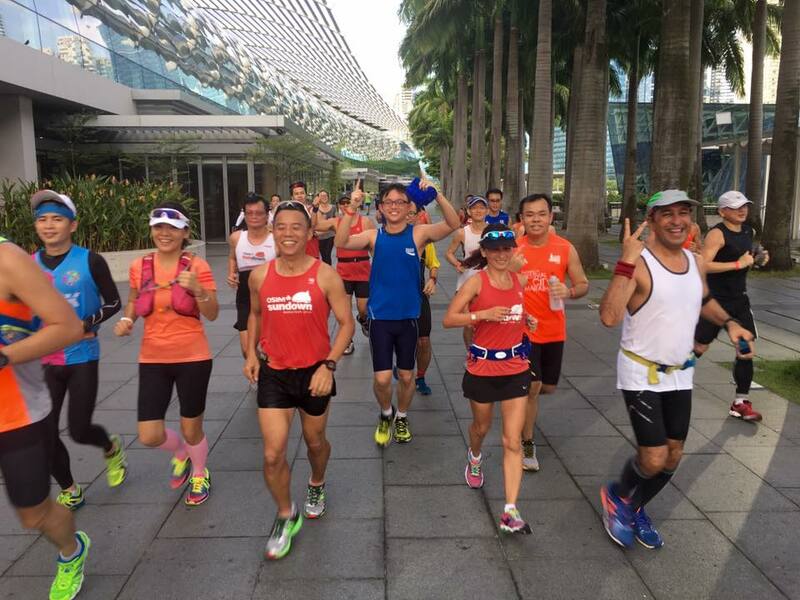 We wish all Sundown Marathoners, especially those who have joined us for training and lead up runs a successful and fruitful performance in your respective HM and FM on 28-29 May. 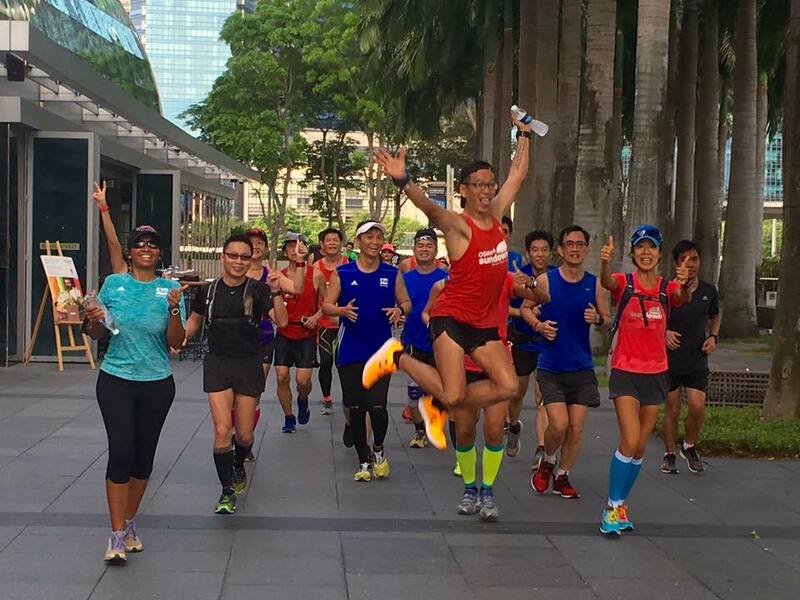 The Sundown Runners Are Soaring High!